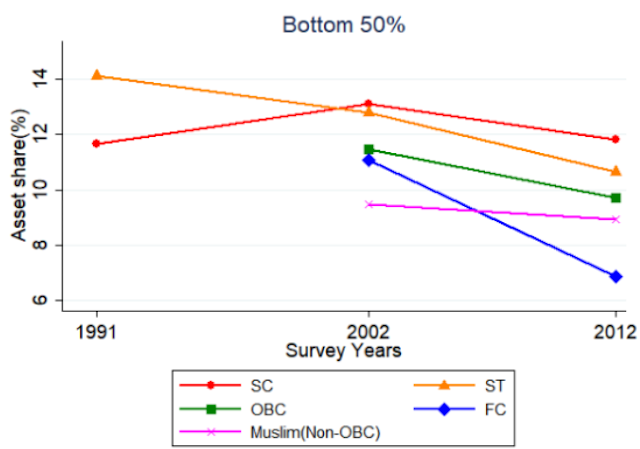 The data analysed by Bharti suggests a clear pattern: Thus, in 2002, the wealth of the bottom 50% FC group between 2002 and 2012 went down from 9.25% to 6% of the top 10% of FC group. On the other hand, the wealth of the bottom ST 50% of the ST group during the same period went down from 11.75% to 9.5%; of SC group went down from 11.5% to 10.5%; and of OBC group went down from 9.75% to 8.75%. 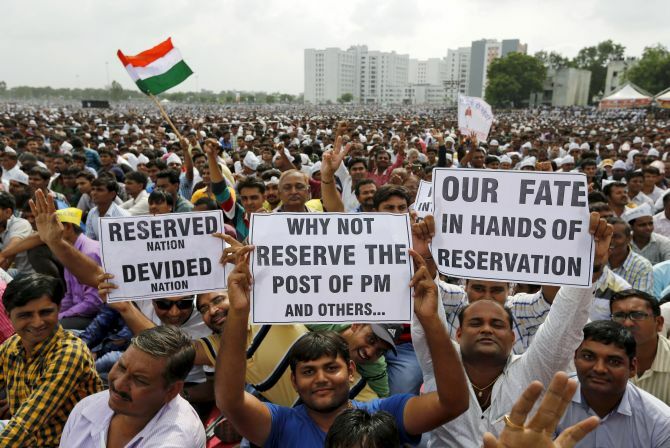 While Bharti wrote the paper in November 2018, before before the Government of India’s controversial decision to provide 10% reservation to the economically weaker sections (EWS) to the FC group, his analysis suggests, the increasing intra-caste inequality within the group was a major reason behind it. 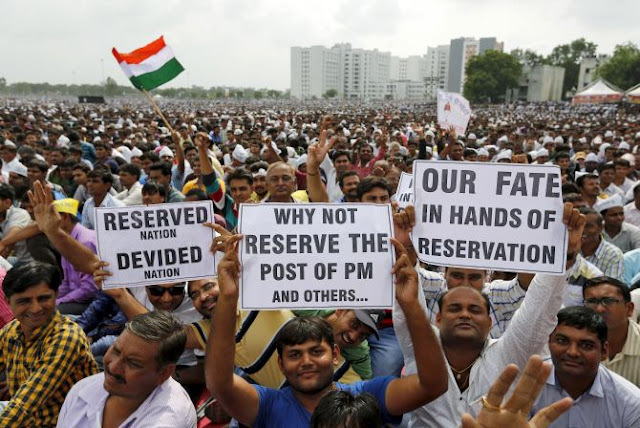 Analysing data obtained from the National Sample Survey-All India Debt and Investment Survey and the Indian Human Development Survey for different years, Bharti explains several FC groups' efforts to “gain access into reservation benefits” in this context. Suggests Bharti, a major reason for sharp within-caste differentiation in FC is, the upper groups gained, while the lower groups failed.